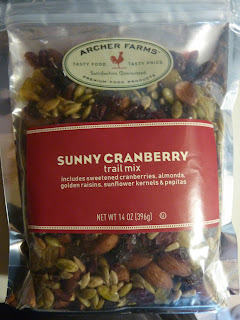 I think this is the first trail mix we've reviewed with nothing but fruit, seeds, and nuts. No chocolate, no yogurt chips, no weird little crunchy sweet things. Just the good stuff...or at least, the stuff that's good for you. The cranberries and raisins were plentiful and well-balanced. They were really moist, but they didn't leave a whole lot of residue on your hands. And there were plenty of sunflower seeds. I think the only thing I'd change about this mix would be to throw in a few more almonds. I don't mind sunflower seeds or pepitas (pumpkin seeds), but I think almonds work a little better with dried fruit. They blend well with sweetness. 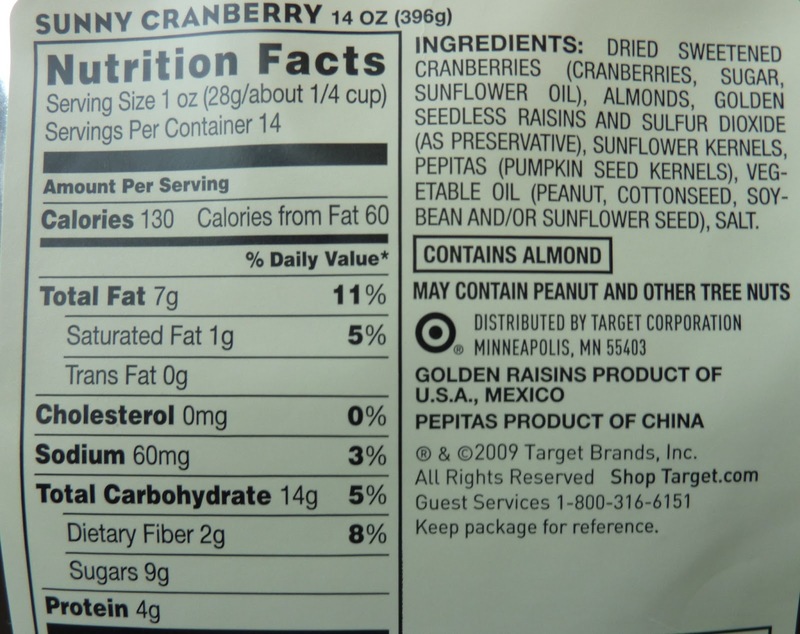 That's why chocolate almond candy is popular, but you don't often hear about chocolate pepita candy. 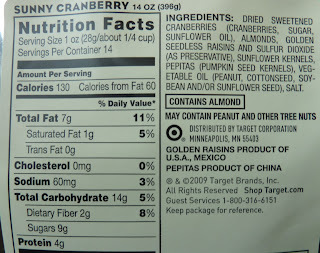 that I was subconsciously zeroing in on the almonds and eating them first since I like them so much, but I'm pretty sure that if you put a big vat of this trail mix in a centrifuge, the pepitas and sunflower seeds would sink to the bottom since they're tiny and dense. But again, I'm getting off the subject. 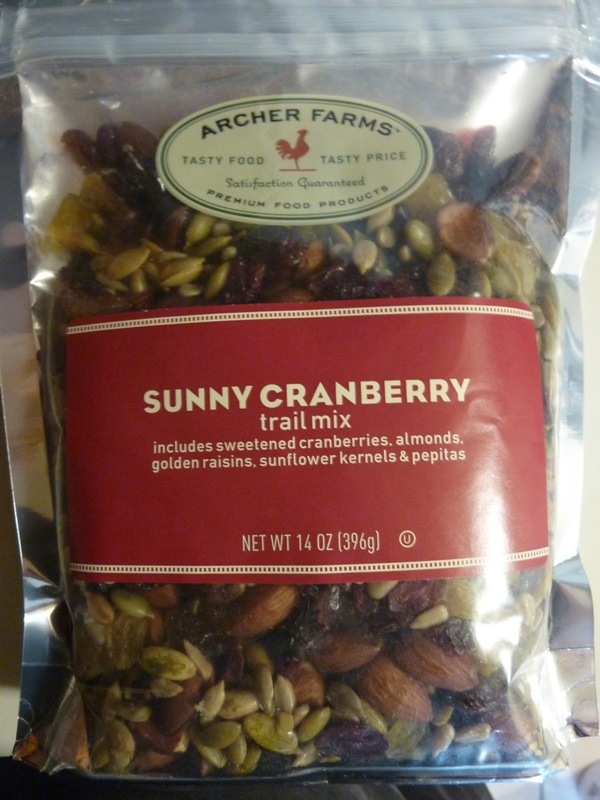 As far as a "healthy" trail mix goes, I think this one's the best one we've reviewed so far. It would be a great energy supply for an actual hiker. If you're looking for a dessert-ish trail mix, my pick would be the Cinnamon Raisin Mix, and my wife would take the PB&J Mix.